We offer 4 different types of programs for your group, church, or organization. 1. “Getting Gay with Fundamentalism” : Over one full hour of hilarious stand-up comedy and original songs, culminating in a practical guide to merging spirituality with sexuality. See the full video on our homepage. 2. “The Truth and Trader Joe’s: Practice that’s Practical” : An unique workshop experience. Curtis uses his signature wit and practical prospective to demystify the mystical. Learn three basic meditation techniques sure to change your life and your perspective on spiritual living. 3. “Coming out to Christ”: A powerful and inspirational keynote address. Curtis shatters the Fundamentalist argument against homosexuality with fresh insights into spirituality and sexuality. This presentation challenges the mainstream ideas about Christianity and reveals an essential role for the LGBT community in the continuing evolution of religious society. 4. Custom: Custom programs are available including workshops and presentations (In person, or virtual program via Google Hangouts video conferencing). Simply let us know what topic interests you and we will create a program based on your specific needs. You may select a Fee Based Presentation: We offer affordable and flexible rates. 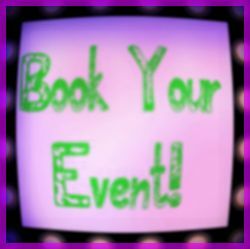 Pricing depends on the size and location of your event. You may select a donation based presentation: No one should be turned away for lack of funds! Instead of a flat rate, you may opt to collect a suggested donation from attendees. Donations will go toward United Church of Christ LGBT Ministries in Simi Valley, CA. 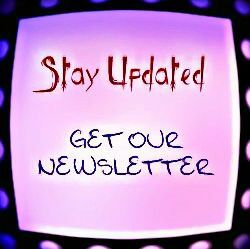 Simply fill out the inquiry form, and we will contact you shortly!